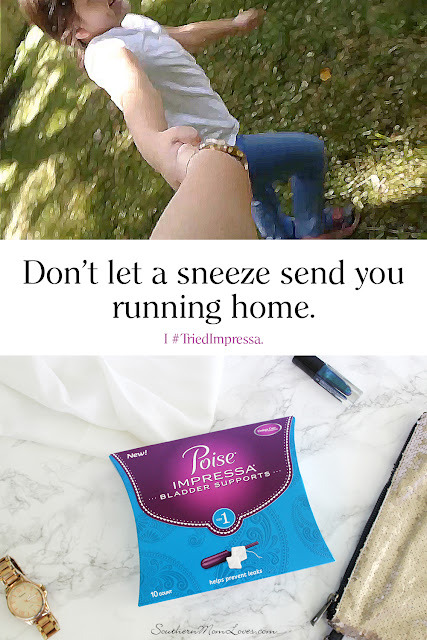 Southern Mom Loves: Don't Let a Sneeze Send You Running Home. Don't Let a Sneeze Send You Running Home. Warm days beg for outdoor fun. 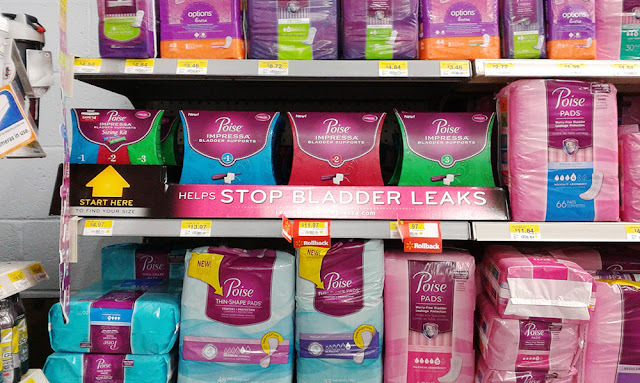 Walking, swimming, playing sports, and outdoor parties are all great ways to celebrate summer, but if you're one of the 1 in 3 women who deal with LBL (light bladder leakage) every day, then those activities might not sound so fun. You may be worrying about leaks when you should be enjoying yourself. Don't let a sneeze send you running home when you could be using Impressa. I've talked a bit about my LBL here, and I've shown you how I deal with it: I stop it from even happening. 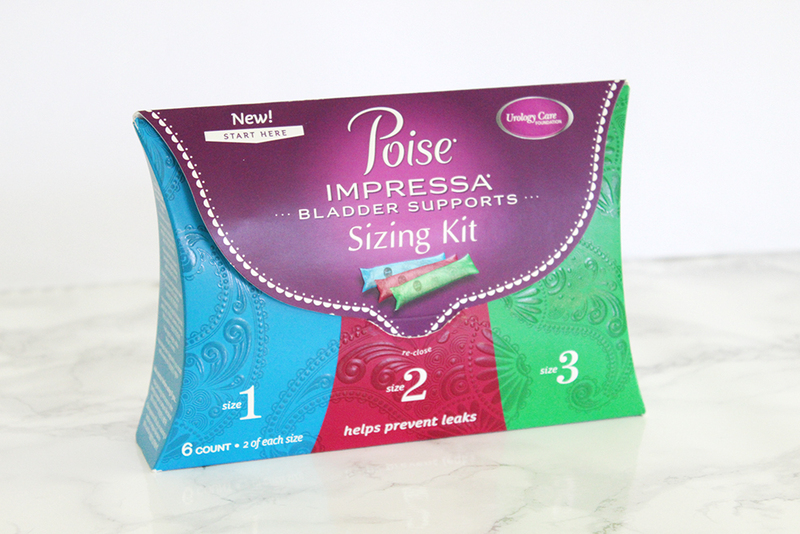 If you leak when you laugh, sneeze or exercise, Impressa from Poise can help. 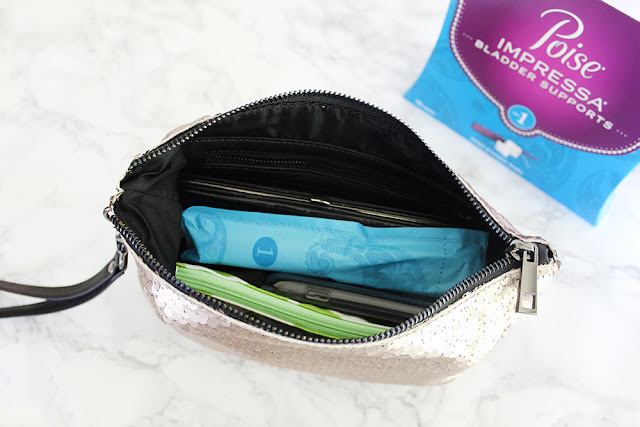 No pads that feel like diapers, just a discreet support that puts pressure on the urethra through the vaginal wall to help stop leaks before they can happen. I was a worrier. It was always in the back of my mind, and let's face it ladies, if you can't laugh about it, it will drive you nuts. It kept me from being as active as I liked, but not anymore. Find Impressa (I found it on rollback!) in the Feminine Hygiene aisle with all of the other Poise products in your local Walmart store. You should see a display like this. Start by getting the Sizing Kit. 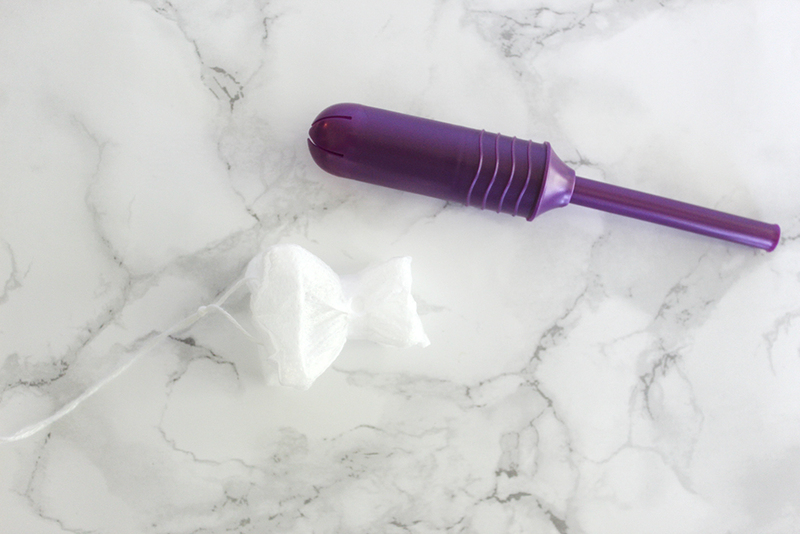 If you can use a tampon, you can use an Impressa. The applicator looks just like a tampon, and you use it in exactly the same way except the insert is a soft silicone support sheathed in a non-absorbant cover, and you remove it the same way you would remove a tampon. The support is very soft and comfortable; You might not even feel that it's there. Start by using size 1 for a couple of days to see if it stops your leaks. If you need to, go up to size 2 for a couple of days. Stop when you find the size that is just right for your body; That is now your Impressa size! 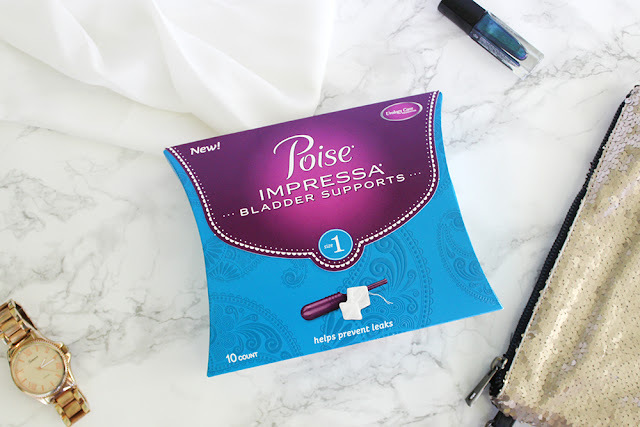 You can wear Impressa for up to 8 hours during a 24 hour period, so you can feel free to do anything your heart desires without having to worry if there's a bathroom nearby or having to wear a bulky pad. Going away for a weekend? 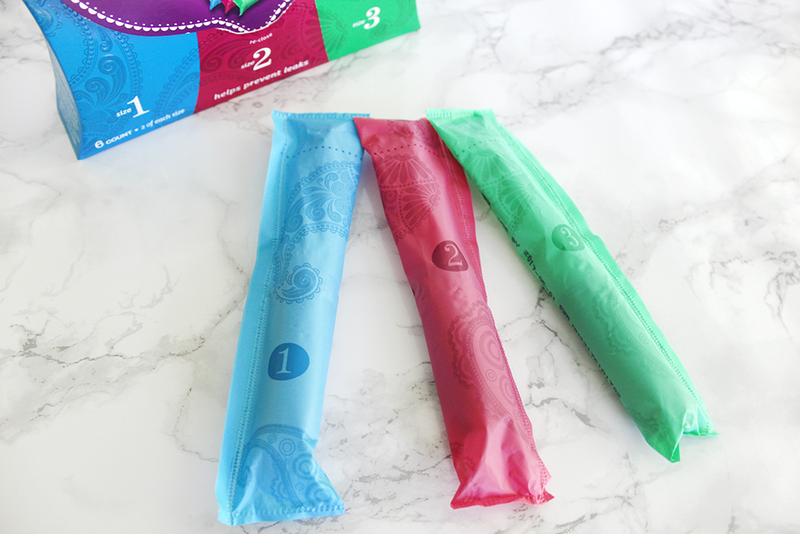 They're as easy to take with you as a tampon. 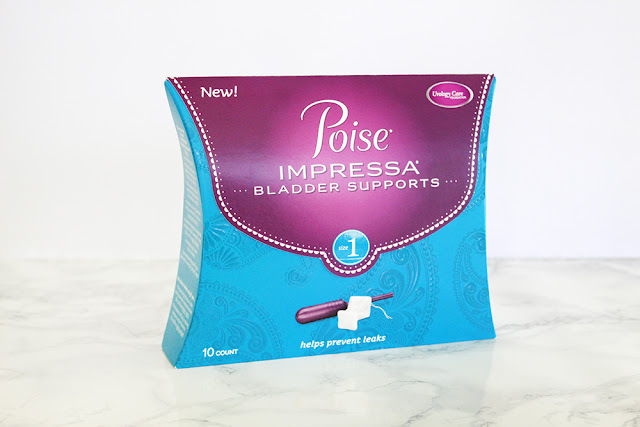 If you're not sure if Impressa is right for you, you can find more information here. Don't let LBL keep you from living your life. It doesn't have to be that way. Get out there, feel confident, and most importantly, don't worry about it! How has LBL affected your life? Does your LBL keep you from doing the things you love? Will you be giving Impressa a try? I love to read your comments!